Everyone’s heard of Frankenstein, right? 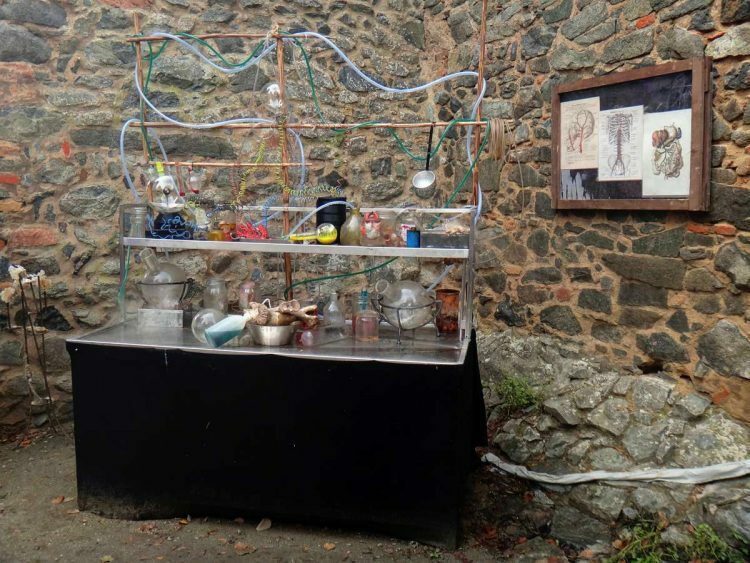 Even those who haven’t read Mary Shelley’s book are familiar with the basic storyline of Victor Frankenstein – an eccentric scientist who creates a lumbering, malformed humanoid patched together with recycled body parts. 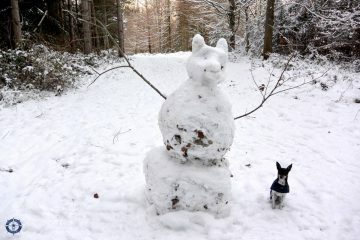 At the sight of the abomination he’s created, Frankenstein casts it aside, dooming the creature to a solitary fate. 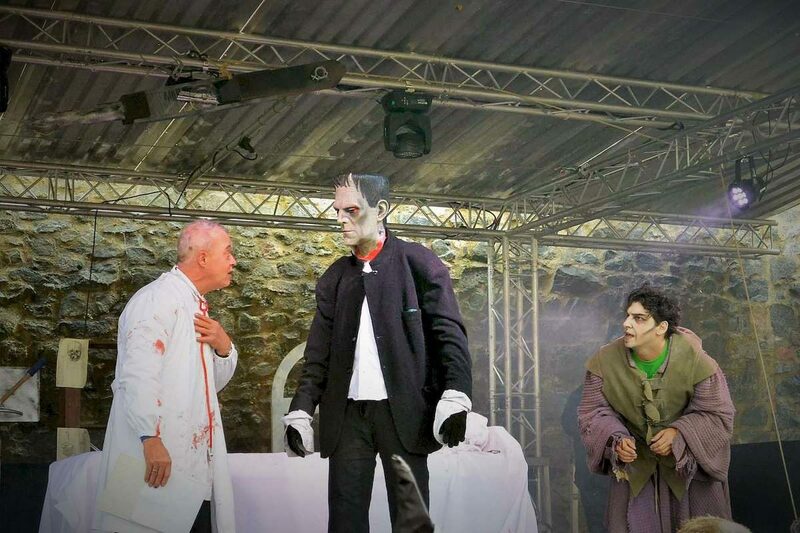 In return, the monster leaves a wake of bodies in his path as he repeatedly attempts to confront Frankenstein to understand why the scientist made him, only to cast him aside. Tragically, the narrative ends with Frankenstein’s death near the North Pole. Upon his creator’s death, the monster vows not a living soul will again lay eyes on him. He’s last seen drifting into the Arctic mist on a solitary iceberg. Where on earth did an 18-year-old girl get the idea for such a morbidly brilliant narrative? 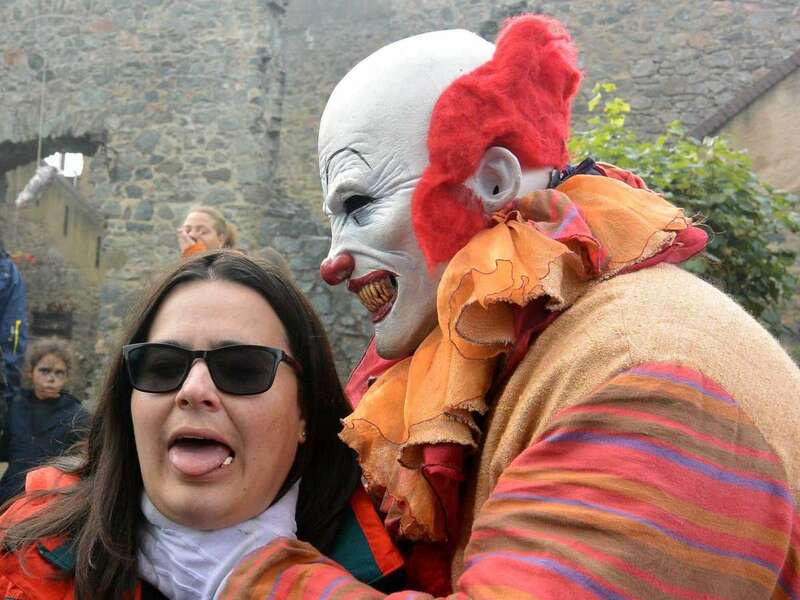 Frankenstein Castle, or Burg Frankenstein, is the venue for the annual Halloween festival. By the 1700s, the castle had fallen into ruin. Briefly used as a hospital, attempts were made in the 19th century to rebuild. The two towers currently standing reflect these ambitious, yet historically inaccurate, efforts. Then in 1978, a group of US servicemen stationed at a nearby military base started an annual Halloween festival at the castle. 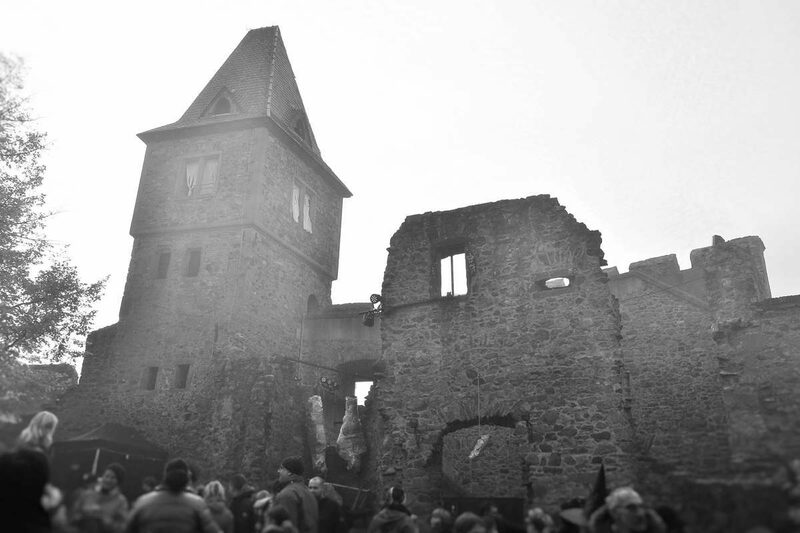 The tradition survived and is now so popular that Frankenstein Castle is the place to celebrate Halloween in Germany. 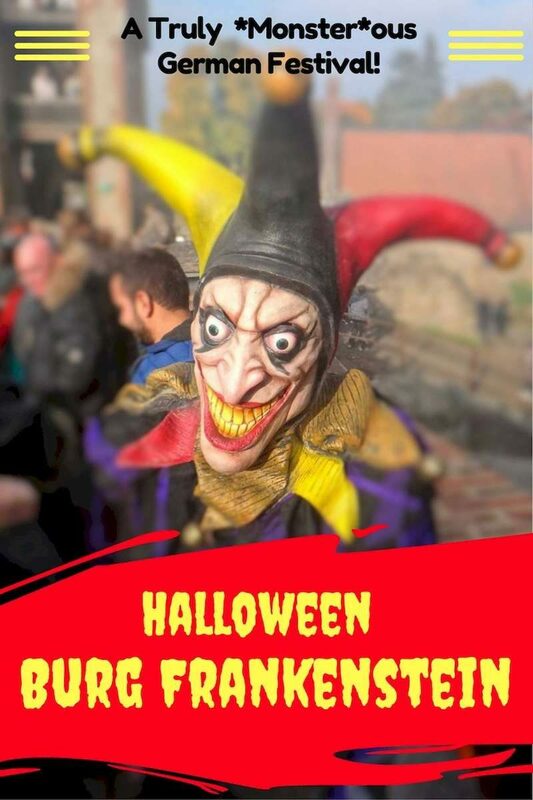 The festival itself is known as Halloween Burg Frankenstein, and it’s truly a *monster*ous event in Germany. 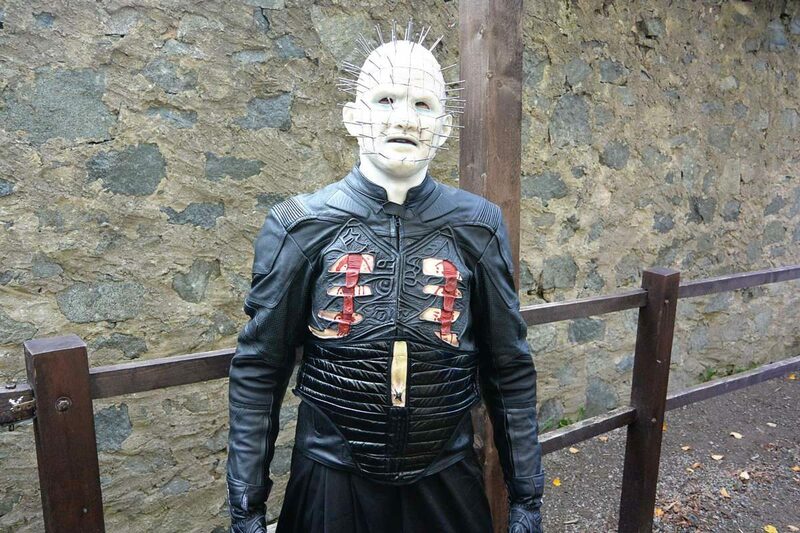 Since Travis’s birthday is just a couple of days before Halloween, any celebration is usually swallowed up in Halloween-related festivities – pumpkin carving, costume parties, haunted corn mazes, and the like. It happened again this year, but with an unexpected birthday twist. To Trav’s complete and utter surprise, a van load of friends from Switzerland made the 7-hour drive to our flat in Germany, arriving around 2 am. Sound asleep when they arrived, Trav’s season of Halloween frights began with a gentle nudge, then whoops of glee as the friends surrounding our bed hollered Happy Birthday! before piling on for hugs. If his initial look of stunned confusion was any indication, the surprise likely took a few years off his life, but it was totally worth it! 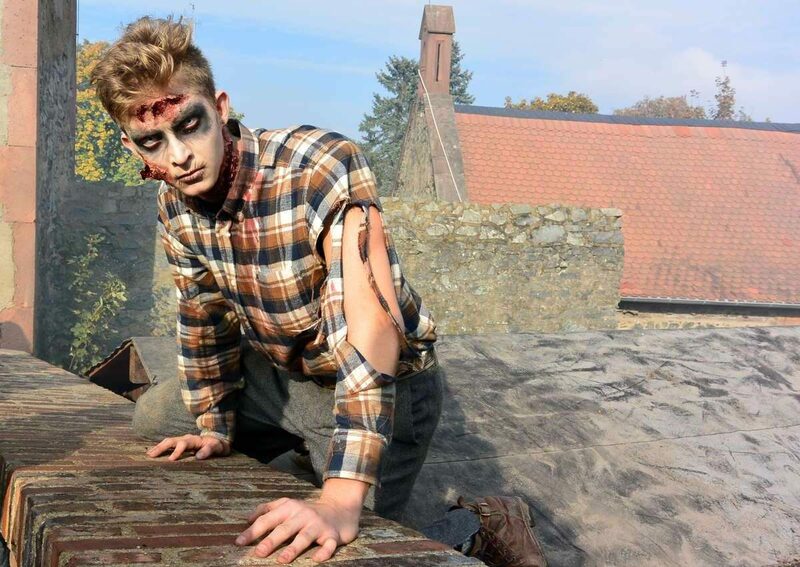 Our intrepid friends from Switzerland put on brave faces at Halloween Burg Frankenstein. The birthday surprises continued the next day. 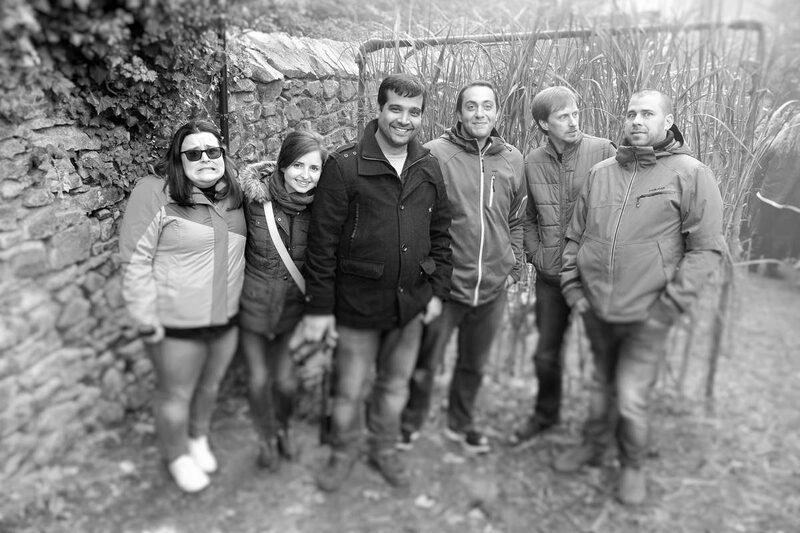 All seven of us piled into two cars and headed a couple of hours south to Frankenstein Castle for the Halloween festival. Travis didn’t figure out our destination until we neared the venue and giant event signs began sprouting along the highway. Tickets for the festival include free parking and the 10-minute shuttle ride up the mountain to the castle, so we parked at a huge P+R lot and followed a stream of festively dressed folks to the bus stop. Though it was standing room only, the ride up the hill through the timbered forest blanketed in golden leaves was beautiful. 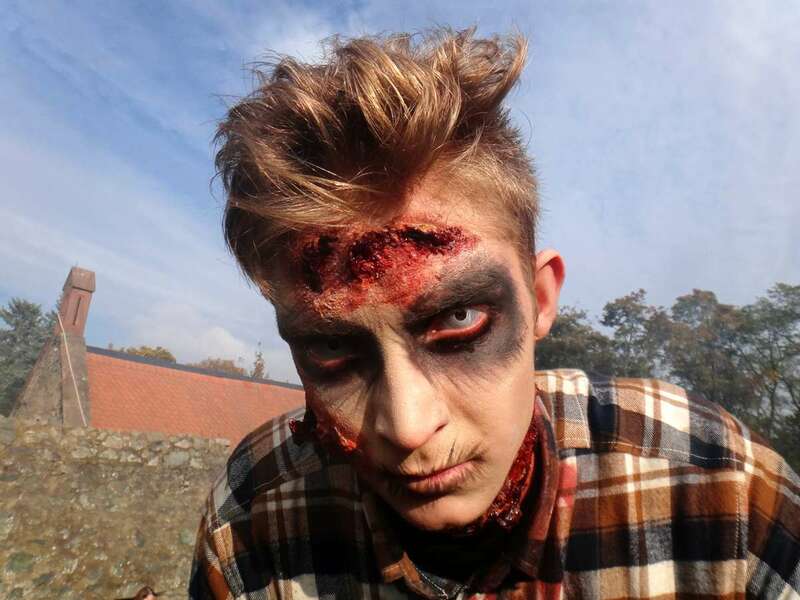 Prepare yourself for an insane number of visitors – too many for the festival to actually be scary. Despite the heavy security at the entrance, we breezed through fairly quickly and bee-lined for the food tents for some lunch. I couldn’t resist my favorite German beverage – glühwein, blessedly hot, mulled wine. Just as we finished, Frankenstein’s monster appeared at the castle gates, swinging them wide and beckoning for visitors to enter before lurching back into the mist. Halloween Burg Frankenstein 2016 had begun! 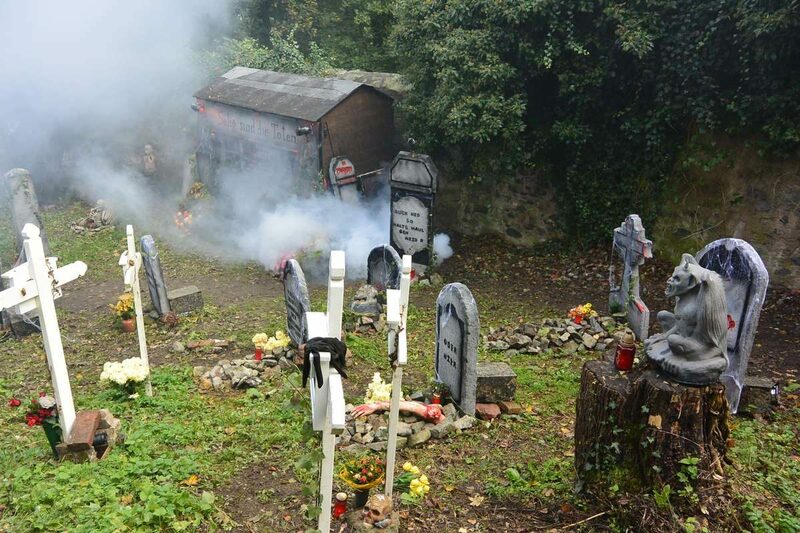 Artificial mist rolls from an artfully decorated cemetery along the trail around the castle. 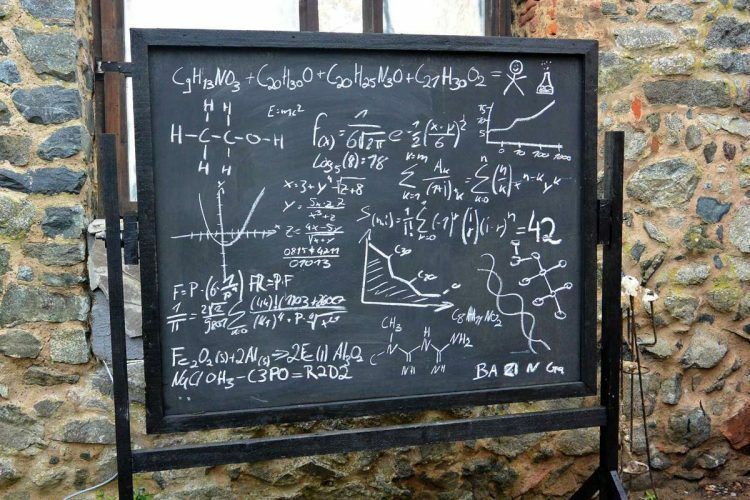 This is not a costume you want to forget you’re wearing when you lean in to kiss the Mrs.
A haunted castle wouldn’t be complete without devious scientific experiments. Carlos knows never to show fear. 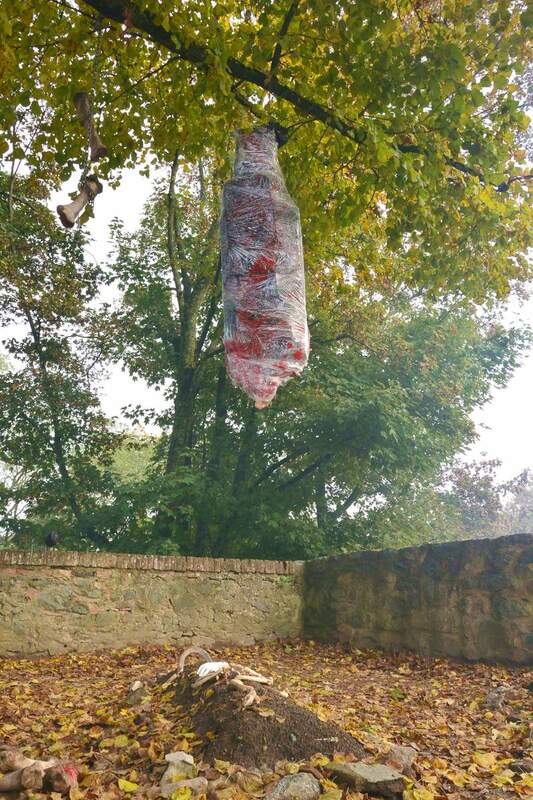 A body hangs from a tree limb, fake blood slowly dripping from the bag. No wonder people are afraid of clowns. Wolfgang looks like he’d prefer to take Abhishek out for a beer than do bodily harm. After absolutely insisting I snuggle up to this handsome chap for a photo, Silvia says, “SMILE! Oh wait. You already are.” Ahhhh, she kills! This guy obviously thinks she’s funny too. I mean, look at that smile. No wonder people are afraid of nurses. This guy is probably the best zombie I’ve ever seen. And I’ve seen lots. (I haven’t seen lots.) But he’s still my favorite. So what did we think of the festival? 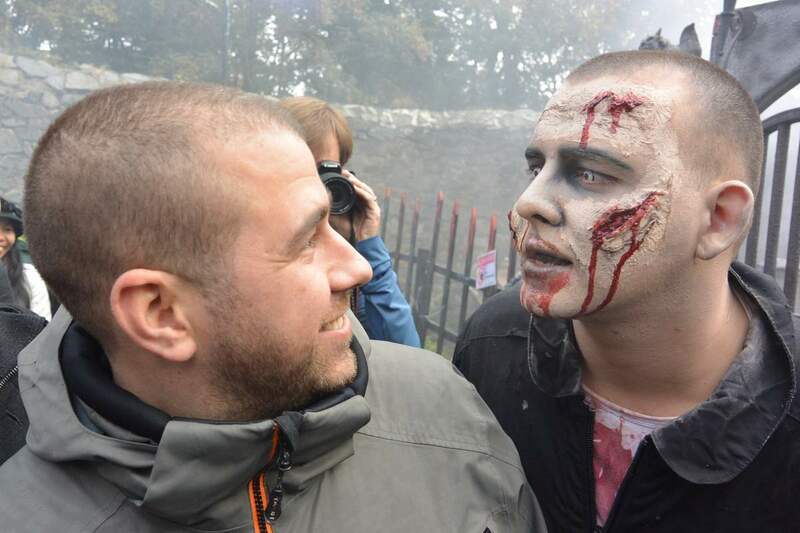 Despite the hordes of people and broad daylight that killed any chance of it being scary, I was thoroughly impressed with the quality of the entire event. The ticket price includes free parking and a convenient shuttle bus. The wooded castle setting is idyllic and the views from the top are superb. 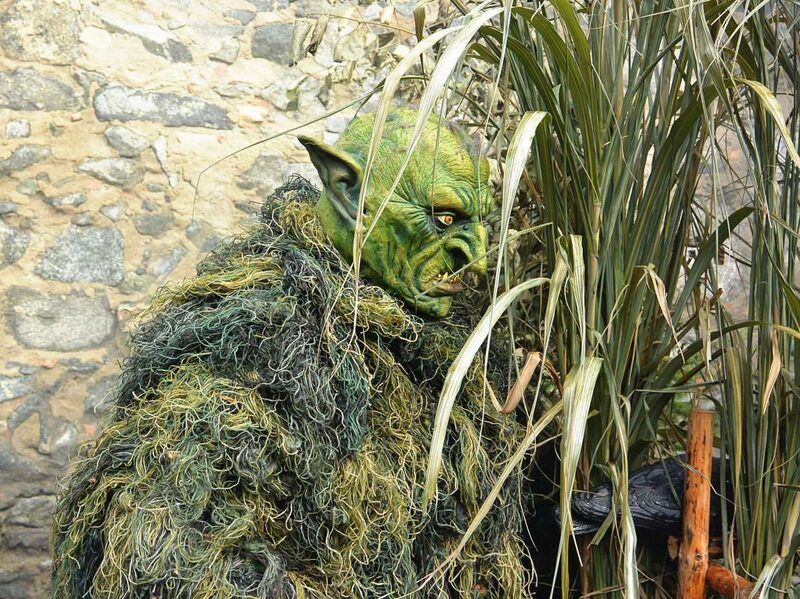 But where the event really shines is in the quality of the volunteers and their phenomenal costumes. 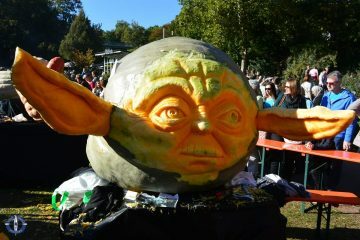 Best I’ve ever seen at a Halloween event! 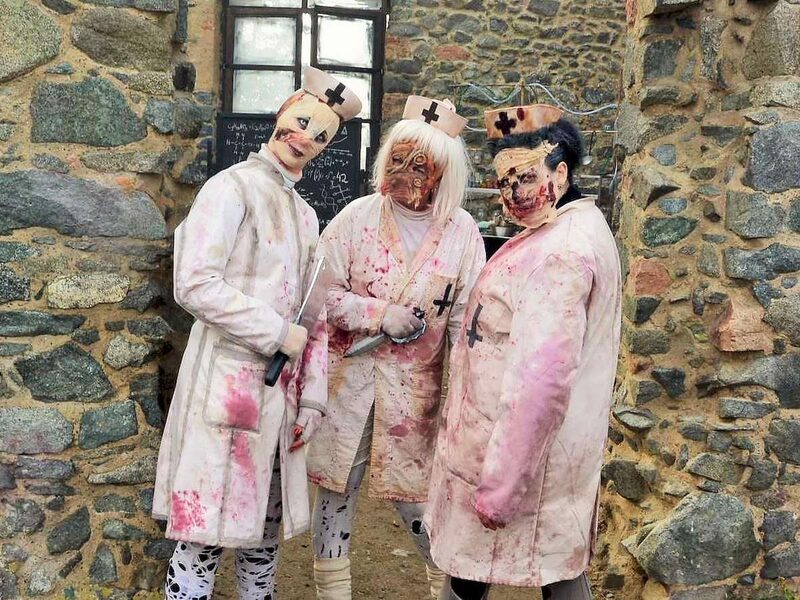 From the freakin’ creepy nurses to the zombie guarding the castle wall, this is one German festival you don’t want to miss. After all, who wouldn’t want to party at a place where it’s literally ok to throw your friends to the wolves? Take A Minute to PIN IT! The castle grounds are fairly small and depending on when you visit, expect a LOT of other visitors – so many that at times it’s impossible to move in any direction until someone else moves. 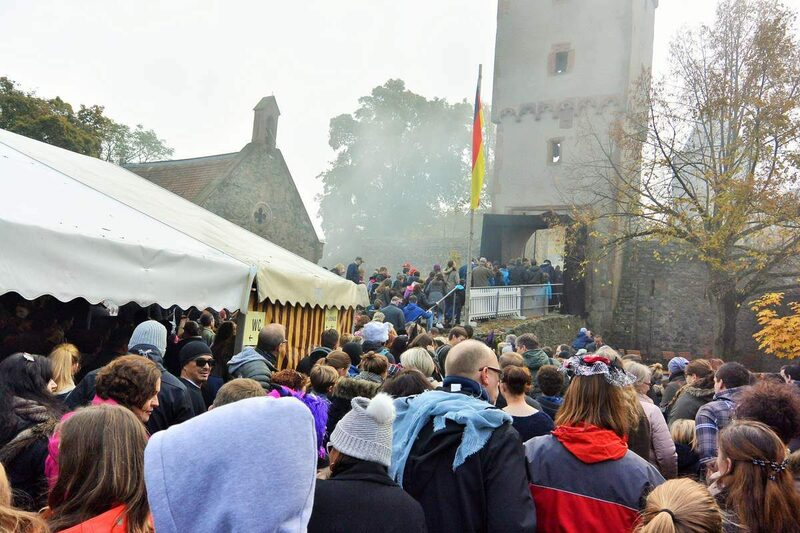 The festival takes place outdoors along a small loop around the castle. The path is rough in places with cobblestone and dirt, which can be quite muddy. Warm clothes (Germany in October/November can be cold) and comfortable walking shoes are a good idea. The festival runs annually from mid-October through the first week of November. Ticket prices vary but an average ticket for Friday or Saturday night is about €35 for an adult. Ticket prices are discounted on Sunday for “family day” and are only €15 for an adult. Tickets can be purchased online or at the venue if they haven’t sold out. Note that Saturdays and Halloween do sell out. Children under 7 are not allowed at the festival except on Sundays. Weekend performances start in the evening after dark. Sunday performances start at 1400, though the festival continues until after dark. 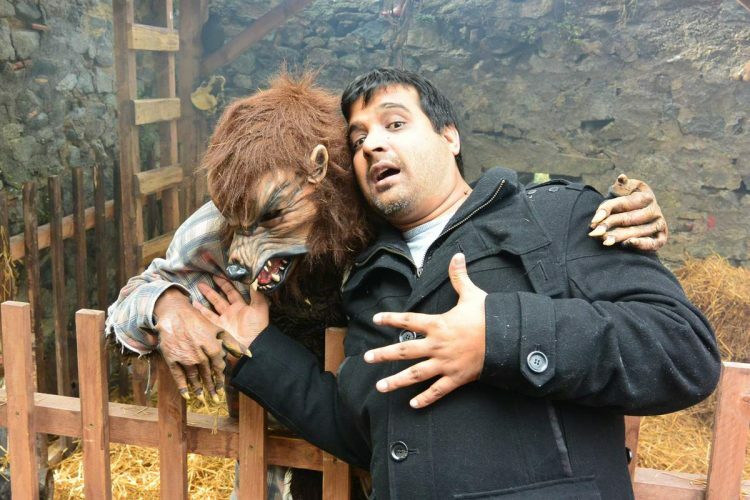 As is typical with haunted houses, the monsters are allowed to touch you. However, they are very careful, mostly trying to stare you down or startle you with quick movements rather than by manhandling you. They do a wonderful job interacting with guests and are quite willing to pause for a photo, so while they’re not particularly scary, they still make it fun. 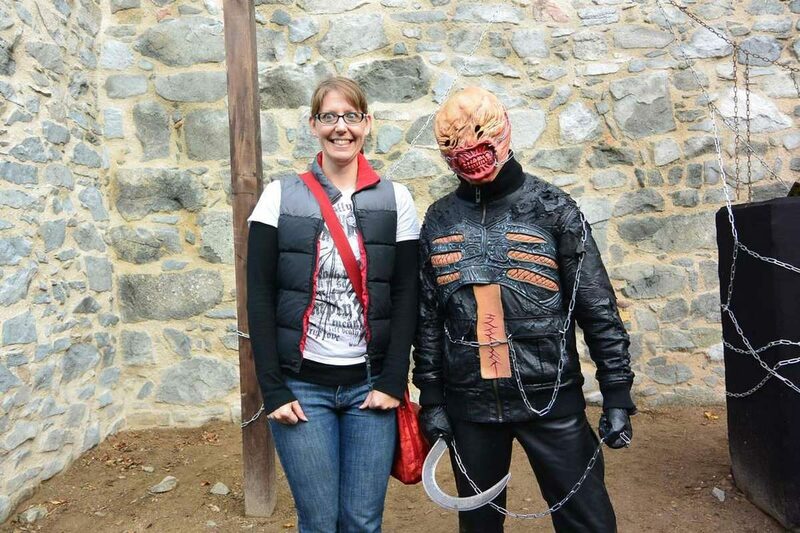 Visitors are allowed to wear costumes as long as they don’t have sharp objects or cause concern with security.